Local Mum Sarah Francis set up her bookkeeping company Prime Numbers three years ago and hasn’t looked back. 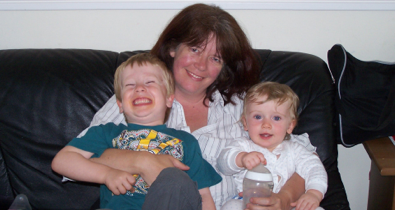 As a mumpreneur, she is ideally placed to help other mums with their businesses too. When Carshalton Mum Sarah Francis quit her job in accounting after the birth of her first baby to set up her bookkeeping business she wasn’t sure what to expect. Sarah has found childcare much easier since she left her office job at the big accounting firm Price Waterhouse Cooper. “I realized after my year’s maternity leave that commuting into central London and corporate life was not going to work with a baby around,” explains Sarah, mum to Sean (four) and Henry (10 months). Working from home means that Sarah can devote all the time necessary to her clients and work flexibly with them. She is more than happy to see mums in their own homes or have them come to her, bringing little ones with them if they need to. If you are a mumpreneur or are thinking about starting a business – or maybe your partner needs help with his bookkeeping – why not give Sarah a call and let a friendly local mum with all the financial skills you need help you get your accounts in order? Read Carshalton Mums’ reviews of Prime Numbers.